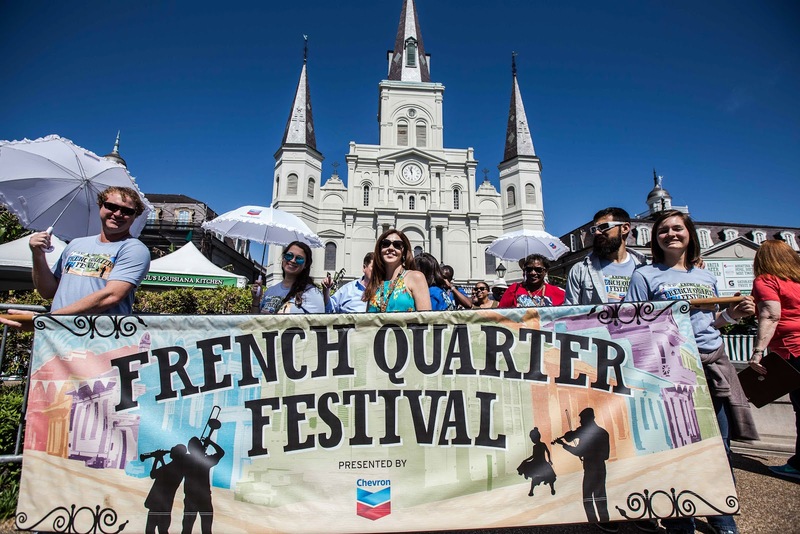 Set your calendars for the 34th Annual French Quarter Festival to be held on April 7-9, 2017 throughout the French Quarter and at Spanish Plaza. This is the largest free music festival in the South, with attendance topping 760,000 last year. You will hear music of all genres such as jazz, folk, gospel, Latin and Zydeco performed on 23 stages throughout the French Quarter. See the link that follows to get a look at the extensive musical lineup: http://fqfi.org/frenchquarter/schedule/stage. Along with all the wonderful music, you will have the opportunity to taste some of the best New Orleans cuisine from many of the finest restaurants including Antoine’s, Galatoire’s, K-Paul’s Louisiana Kitchen and more. Look at the following list of restaurants and festival beverages to enjoy during the 3-day festival: http://fqfi.org/frenchquarter/fests/food/. The festivities kick off with a Second-Line parade scheduled for Thursday, April 6 at 10 AM that begins in the 100 block of Bourbon Street and ends at Jackson Square. Check out the link that follows for a schedule of all the exciting special events to be held at this year’s French Quarter Festival.http://fqfi.org/frenchquarter/fests/special_events/. Enjoy!